We at the Malaysian Nature Society are always very enthusiastic about, and supportive of, the efforts of other conservation and environmental education organisations. For years, we have admired the Arbor Day Foundation of the USA and how they inspire people to plant, nurture and celebrate trees. 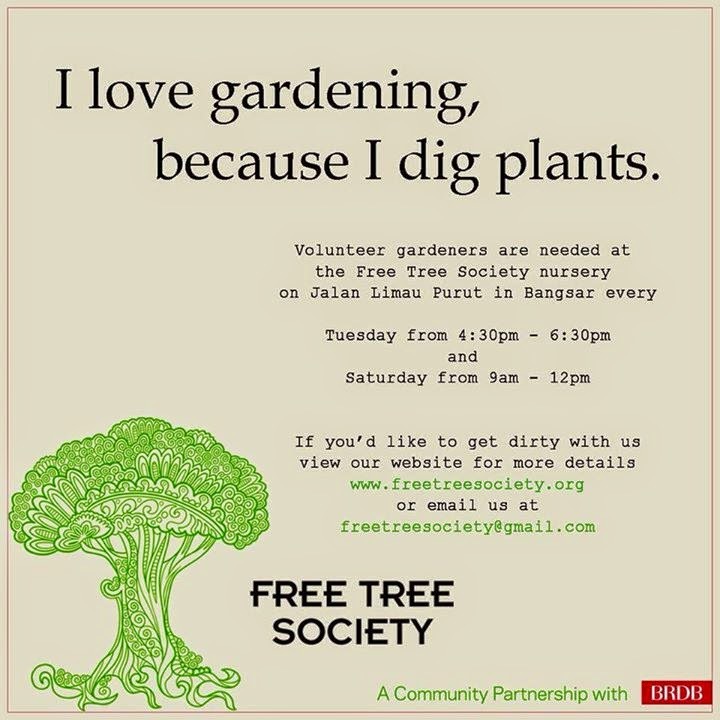 Imagine our delight when we learned of the Free Tree Society of Kuala Lumpur ("FTS KL"), which has been giving out free trees and plants to members of the public since 2012! FTS KL was founded in March 2012 by MNS member Baida Hercus. The Society is based on very simple principles - they take seeds, sprout them, look after the seedlings, and then give away healthy little plants to the public for free on environmental holidays! - Establish a dedicated plant society where like-minded city greenies can come together for the love of plants and grow and nurture seedlings in a sustainable and environmentally conscious manner. Green Living paid its first visit to the FTS KL Nursery on Earth Day 2014 and was impressed with the Society and its objectives, leadership, supporters and of course, its beautiful nursery which is managed in a way that minimises waste and saves resources. Trees to be given out to visitors, along with instructions for their care. 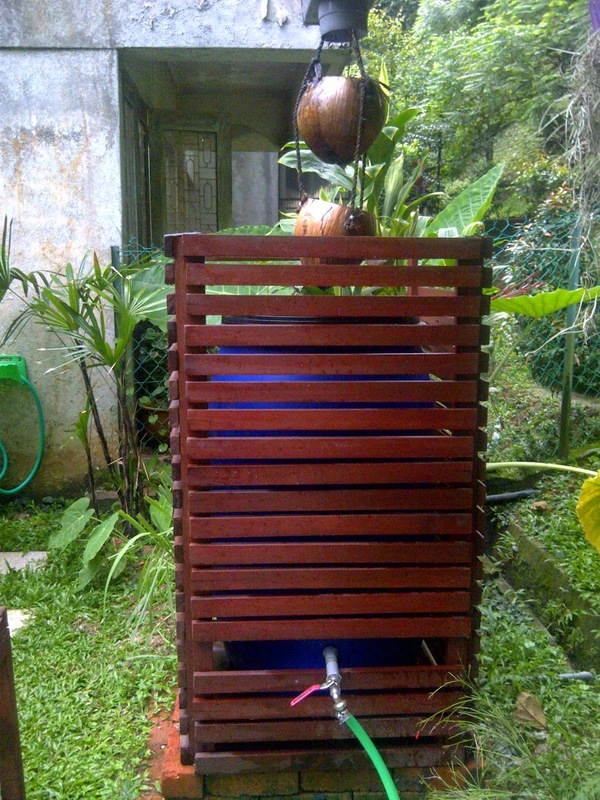 A brilliant rainwater harvesting system. Visitors admiring the nursery and pond during the Free Tree Society's recent Earth Day Tree Giveaway. The water in the pond is reused for watering the plants with, so nothing goes to waste! The best donation you can make is that of your time and effort. Drop by their nursery on any Tuesday from 4.30 - 6.30 p.m. or any Saturday from 9.00 - 12.00 a.m. to help them plant and re-pot plants, weed the garden and keep the nursery premises clean and pest-free. If you are good at painting signs, FTS KL also needs someone who is able to paint wooden garden signs for them. You can donate seeds and plants to them when you drop by, but if there is no-one around, there is a Seed Depository outside the nursery gates so donors could drop off seeds and small plants. 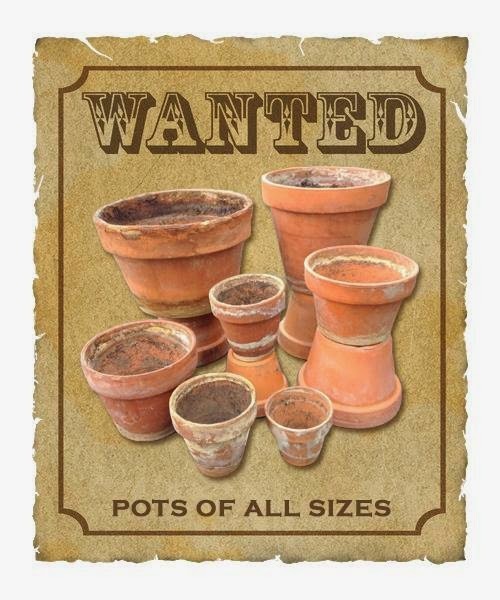 FTS KL needs pots to grow their young plants in, so please spring-clean your garden and donate your unused and unwanted pots to them. 4. If you have a large garden (and a green thumb) and you would like to help raise seedlings, please get in touch. FTS KL will organise seeds and materials to help you start. 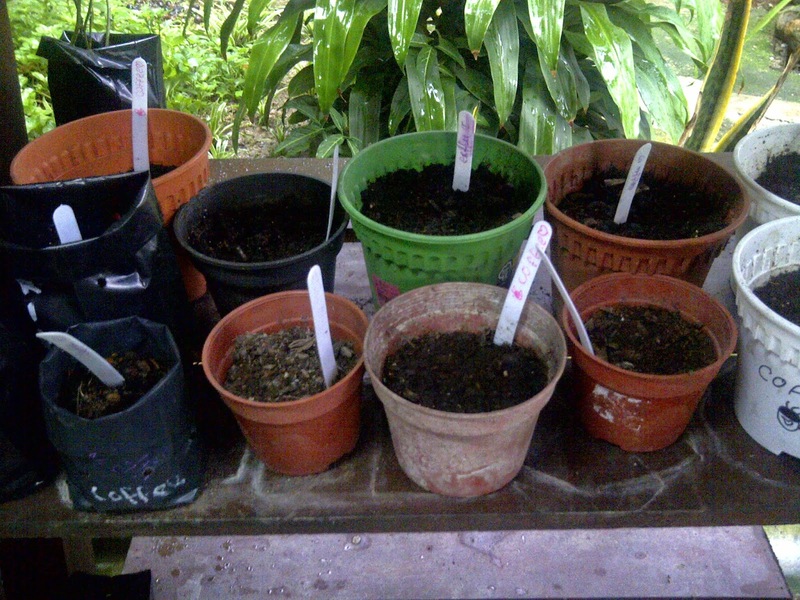 Host gardeners need to be committed to looking after the seedlings to ensure a good germination & survivial rate. Popsicle sticks make great biodegradable plant markers. Children can help collect and wash popsicle sticks to be donated to FTS KL for use as plant markers. 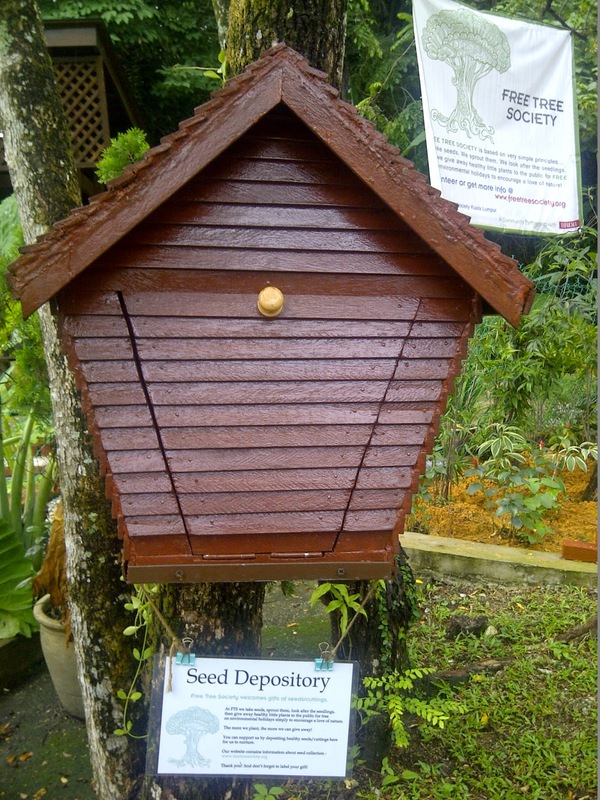 Free Tree Society’s nursery is located on Jalan Limau Purut in Bangsar (opposite the Bangsar Aman apartments). There is no street number so keep a lookout for the green Balinese flags that adorn the nursery. 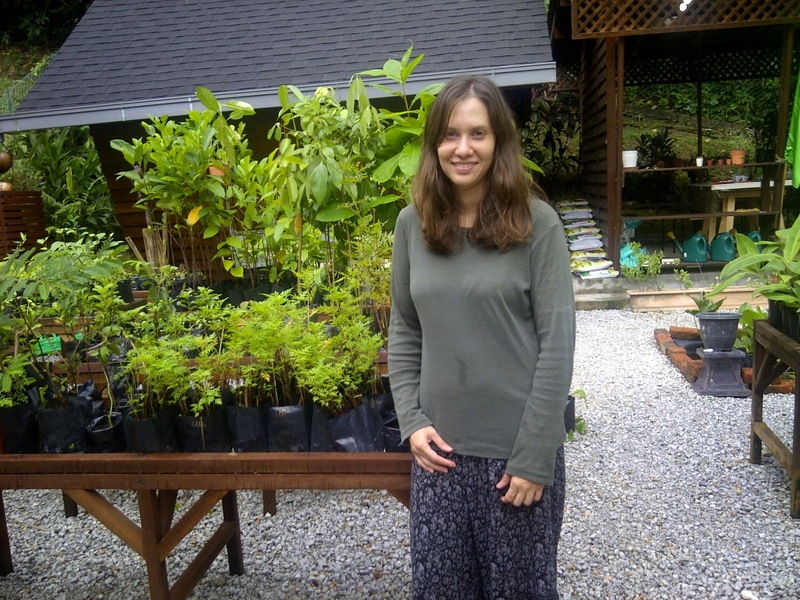 To learn more about FTS KL, please visit their website at http://www.freetreesociety.org/ and connect with them on Facebook at https://www.facebook.com/FreeTreeSociety.